A bicyclist was hit by a cement truck on the West Side Thursday. 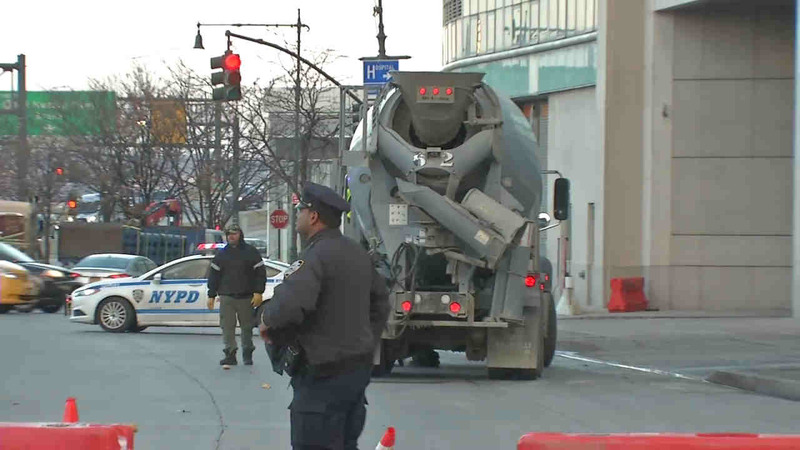 WEST SIDE, Manhattan (WABC) -- A bicyclist was hit by a cement truck on the West Side Thursday. The bicyclist was pronounced dead at the intersection of West 55th Street and 12th Avenue just after 7 a.m. The cement truck driver stayed at the scene and is being interviewed by detectives.